I have an ATCoin pair to share today. 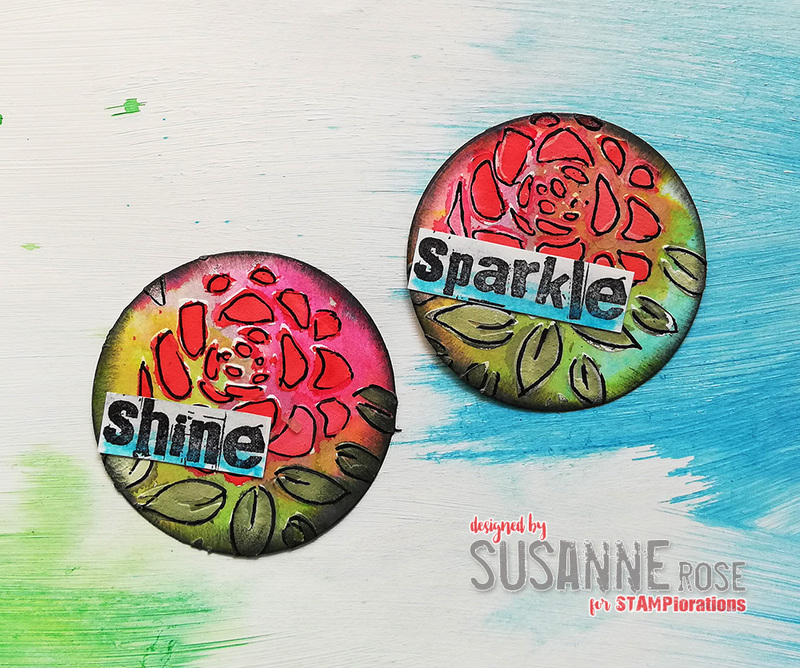 I used the lovely Rosegarden stencil from STAMPlorations to create them. Join the STAMPlorations monthly mixed media challenge here.